The complete What Hi-Fi? guide to World Cup 2018 | What Hi-Fi? ...with France meeting Croatia in the final on Sunday 15th July. And with much of the 2018 tournament being broadcast in Ultra HD 4K for the first time, it's an exciting time for TV tech and sports fans alike. So if you're looking for last minute TV deals, wondering exactly how to watch the rest of the World Cup in 4K on BBC iPlayer, need tips on perfecting your home cinema in time for the all-important final, or simply want some new music to soundtrack your World Cup 2018, we've put together a bunch of advice, deals and features to keep you company for the last few days of international football. 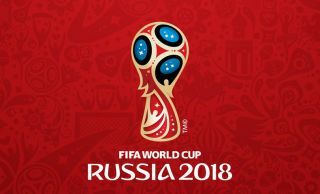 Whether you're enjoying it at home on your decked-out system, sneakily (or openly) watching it at work or trying to follow the highlights on your smartphone, there are many ways to follow the FIFA World Cup 2018 in Russia. Here's our guide to how you can catch all the action, including the grand final in Ultra HD 4K. The news we were waiting for. The BBC is broadcasting 29 FIFA World Cup games in Ultra HD 4K and HDR/HLG on iPlayer (finally! ), but you'll need the right TV and a speedy internet connection. It's also first come, first served - so here's how you can get ready to be one of the lucky ones. Why won't everyone be able to watch the World Cup 4K broadcast on iPlayer? How is the BBC working on its 4K trials? We explore the latest news on the broadcaster’s technological footing and future 4K TV plans. Like the fondly remembered Nigeria kit for the tournament, let's get a little retro. With 2018 promising to show the World Cup in the most technologically advanced and varied way yet, we take a look at how the tournament has been broadcast throughout the last 88 years. Nothing like a big sporting event to give you the excuse to buy a brand new TV or spruce up the home cinema, is there? But with so much choice out there, which TV should you get? Need a hand in deciding what the best combination of kits is? Have a new system but need advice on how to get the best out of it? We're here and happy to help. What TV screen size should you get? Do you need a Full HD or 4K HDR TV? LCD or OLED? We've got all the tips you need to pick the perfect TV for your home. There's still time to score a brand-spanking-new home cinema system. Here are four systems to suit all kinds of living rooms and budgets. Should you turn the sports mode on your TV on? Find out the best settings to turn on (and off) to make the beautiful game look as beautiful as possible. Not happy with the sound of your new flatscreen TV? We thought not. We guide you through five of the best ways you can get a more exciting and immersive sound experience when watching each and every remaining game. Here comes all the essential tweakery. From the position of the TV in your room to the optimum viewing distance, from connecting your kit to adjusting those crucial picture settings, we run through the process of setting up your TV to get it looking its absolute best for sports and everything else. Need a new 4K TV in time for the final? Looking for the best price on the market? You're running out of time, but fear not - we've picked out the best deals to make your shopping spree much easier and much quicker. Money off your next TV? Cashback offers? Free 4K Blu-ray player? Free football t-shirt? Whether you're planning to watch in SD, HD or 4K, now is the perfect time to check out the best World Cup TV and home cinema deals. The internet is awash with lovely TV deals, but how do you separate the decent deals from the sensational ones? With our help, of course. From Full HD to 4K Ultra HD, from LCD to QLED to OLED, we've rounded up the most exciting bargains across a whole range of screen sizes and prices. The World Cup isn't only about football. Once the 32 nations had their places in Russia confirmed, naturally our minds turned to music. What has Mexicans moving? What has the Japanese jigging? What exactly gets played at a Danish disco? Join us on our trip around the globe, and please be upstanding for the alternative national anthems.